Tell the St. Louis Mayor: Protect protesters. Investigate cops. Police are out of control in St. Louis, and the Mayor has done nothing to stop them. Over the weekend of protests following the not-guilty verdict absolving Jason Stockley of accountability for the killing of Anthony Lamar Smith, police have taunted protesters using Ferguson-era chants like "Whose streets? Our streets?" --in the same manner of neo-nazi terrorists in Charlottesville. 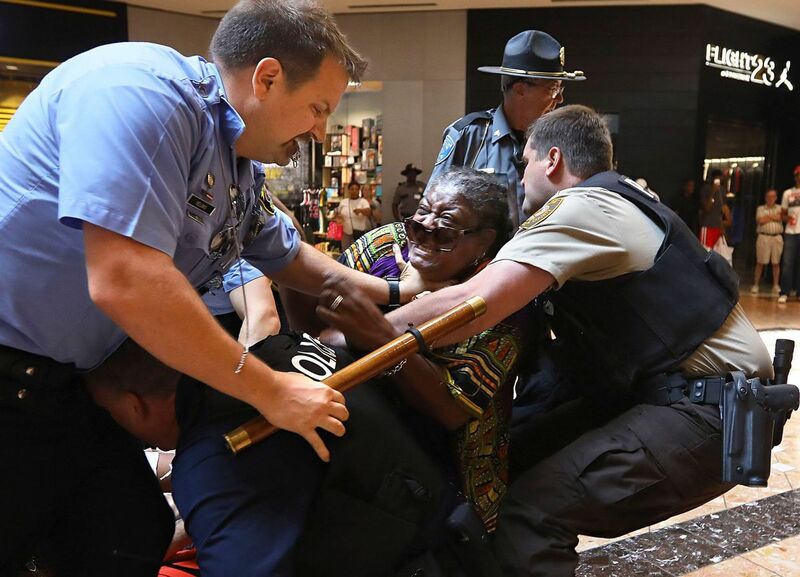 Police even trampled over an older woman and pepper-sprayed the people who tried to help her. Mayor Lyda Krewson still has not sufficiently condemned the rampant excessive force police are using to suppress the peaceful protesters she claims to support. After the verdict came down, Krewson was quick to express her disappointment and also made a statement in support of peaceful protesters. Then after days of abuse against protesters, she said the internal affairs division of the St. Louis police would investigate misconduct. But we know we can't rely on the police to investigate themselves. We need Krewson to take REAL action to protect protesters. That's why we're calling on her to widely condemn any use of excessive force against protesters and call an independent commission to investigate the actions of police during this time. She won't have a choice if enough of us join together in making the demand. Will you sign the petition? The people of St. Louis need you to take a stand against police abuse by making a statement against any excessive force against protesters and launching an investigation into St. Louis Police Department's suppression of protest.